A flawless finish requires professional tools, and Sigma Brushes are essential for blending your base, blush and bronzing powders to perfection. Beloved and endorsed by pro make up artists, these brushes are of the highest quality – starring super-soft synthetic bristles, ergonomic handles and innovative shapes and textures – to make ‘making up’ a breeze. 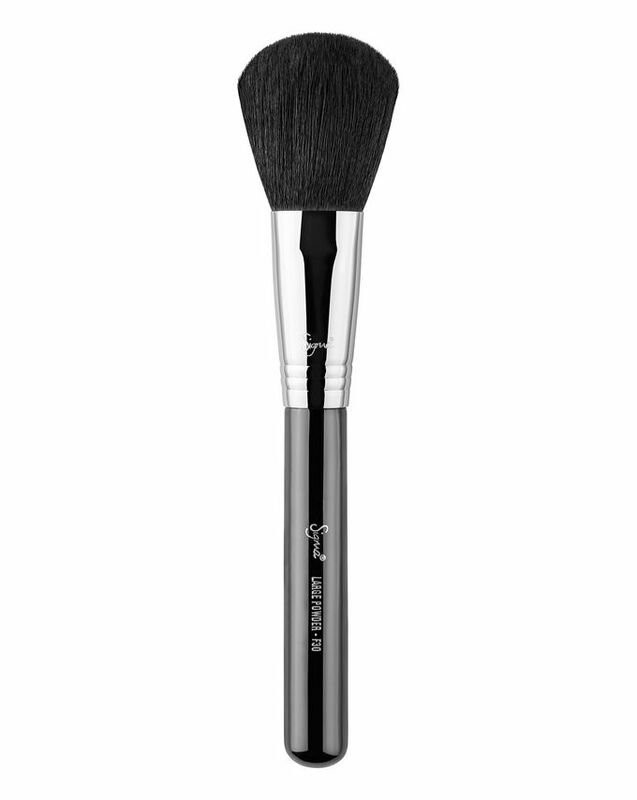 With Sigma Beauty’s exclusive SigmaTech Fibres – synthetic strands designed to outperform traditional animal hair – this Large Powder Brush (F30) features specialised ‘tips’ to pick up and distribute setting powder perfectly (with minimal absorption). Super-soft and fluffy with a rounded shape, this is ideal for dusting product all over your face to grant a diffused, ‘soft focus’ effect. Built to last, the brush handle is made from lightweight, sustainably sourced wood coated with eight layers of paint, while the patented 3-ring brush ferrule is made from high-performance Sigma Alloy for maximum strength and durability. Use to dust powder all over your face for a 'soft focus', diffused effect. I have two of those, one for my bronzer and one for my translucent powder. it is absolutely amazing, carries just the right amount of product, blends it perfectly on the skin, I just love it its perfect! Love Sigma pencils. They are so soft, so perfect. I don't regret purchasing F86, F80, F40 and F30. Nice brush to set your foundation. Very soft one. I can't agree with those who say it's too big. I think it's perfect to cover your face in just a few moves. You obviously need much smaller powder brush if you prefer precise application, especially for the under eye area. It is more of a body brush I think, it doesn't float on your skin the bristles in the middle are too long that they bend oddly, it's good for applying bronzer on my neck and clavicles but I bought it for my face, a little bit disappointing for me.